A light salad during the heart of winter can be surprisingly refreshing. The majority of our meals are focused around what is seasonal which means a lot of hearty root vegetables, but there is more than just carrots and turnips. 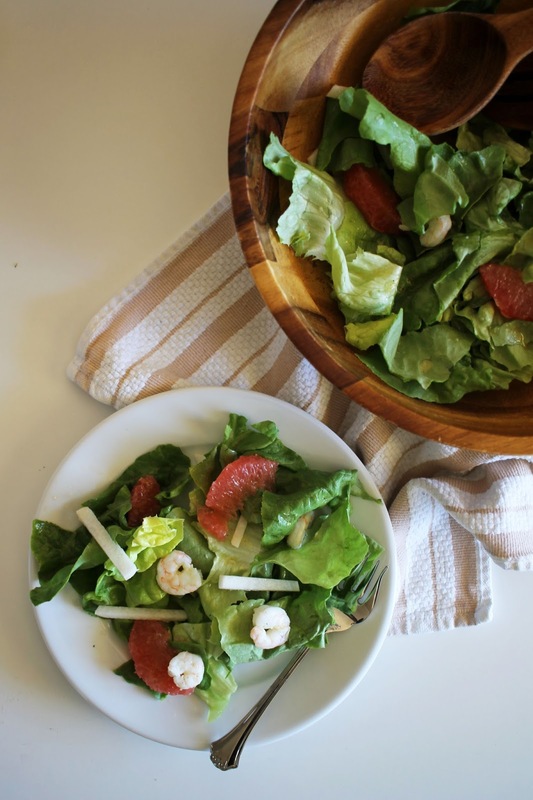 Winter gives us both citrus and lettuce which can brighten up any winter meal. 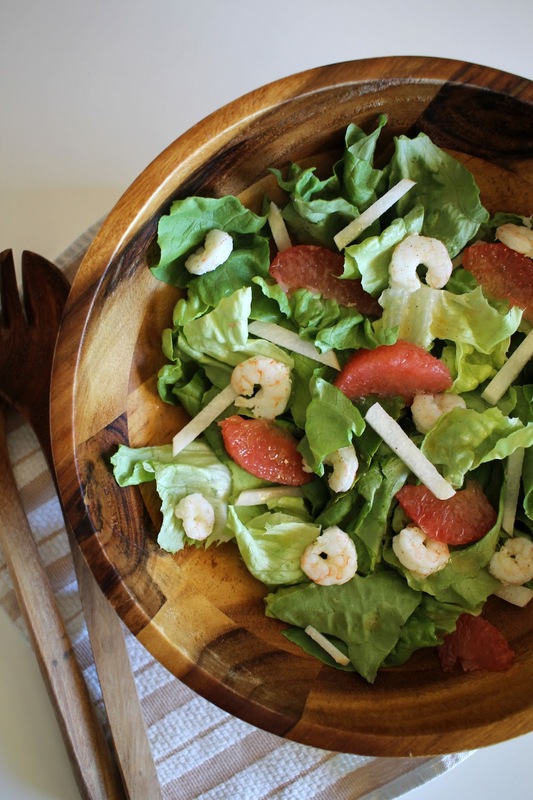 This salad highlights both of these, with a nice kick from a ginger vinaigrette and roasted shrimp for protein. Sure, coming home to a cold salad on a cold day isn't always what I want, but it is what my body needs. Preheat oven to 425 degrees. Combine ginger, grapefruit juice, rice vinegar, sesame oil, olive oil, and salt and pepper in a small bowl. Whisk together until emulsified. Set aside. 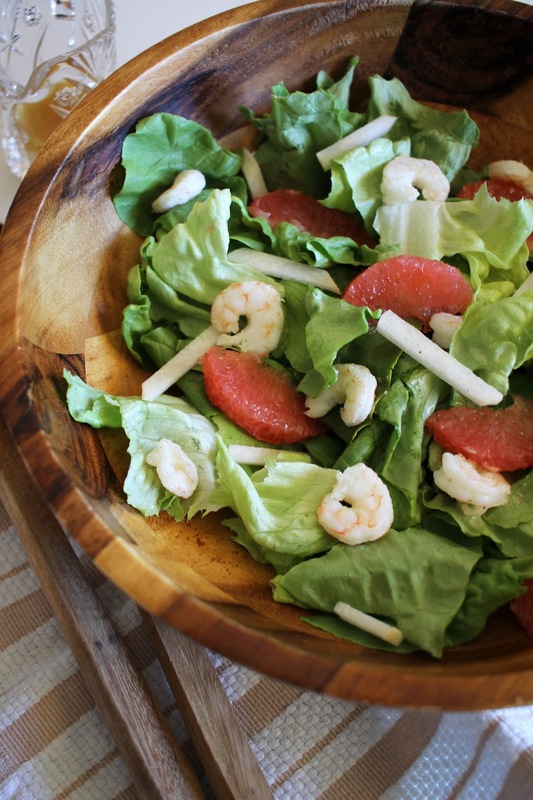 Pour 1 tablespoon of the ginger dressing on shrimp and toss to coat. Place shrimp on a baking sheet and roast for 4-5 minutes until pink. Set aside to cool. 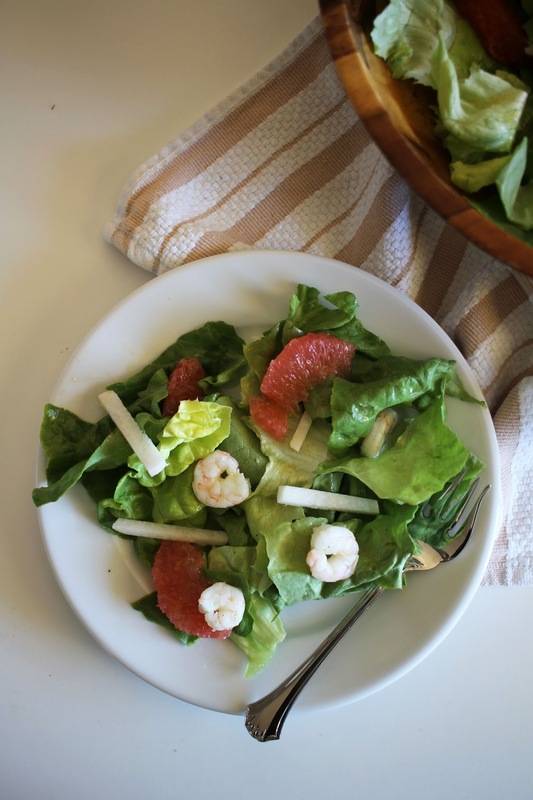 Combine, cooked shrimp, lettuce, grapefruit, and jicama in a large salad bowl. Toss with ginger dressing and serve immediately.